The ninth annual Red Earth Arts Festival is underway after festivities kicked off on Friday, August 31. 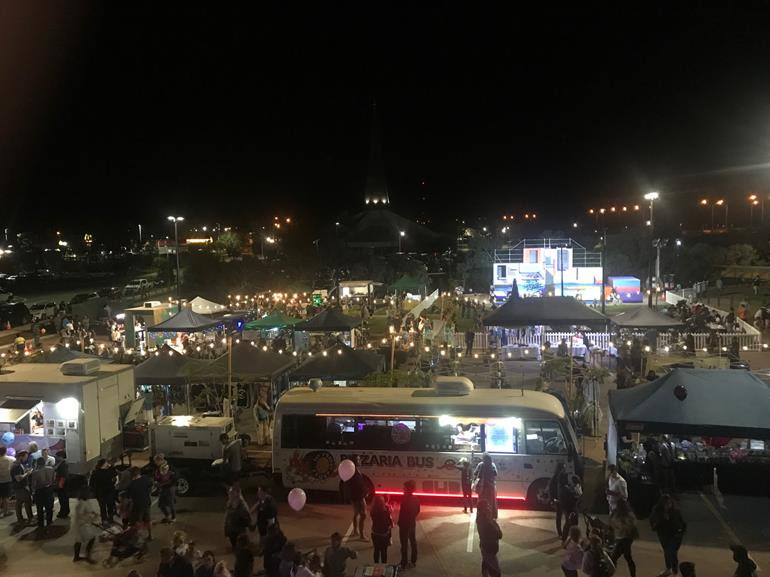 More than 3000 people flocked to the award-winning facility to enjoy a free, family-friendly evening of roving entertainers, dynamic performances and tasty food stalls under the stars. City of Karratha mayor Peter Long said it was the first time the launch had taken advantage of the superb facility, which was a big boost to the region’s thriving arts and culture scene. “It’s always a pleasure to launch the festival, which has been one of the highlights of our annual events calendar and much-loved by the community for almost a decade,” Cr Long said. “This year is extra special because we have a magnificent arts and culture hub to host many of the exciting entertainment options for children, adults and families. I’m looking forward to seeing the community out in force over the next 10 days, immersing themselves in the diverse REAF program. Rio Tinto general manager Ports Cape Lambert Chris Osborn said he was looking forward to being part of the 2018 Red Earth Arts Festival. “This year’s programme ensures the whole community can get involved, from the family-friendly launch to the children’s activities and shows just for adults, there is something for everyone,” Mr Osborn said. “Rio Tinto is committed to the long-term development and effective delivery of arts and culture initiatives across the Pilbara that help add to community vibrancy. This year’s Red Earth Arts Festival is proudly presented by the City of Karratha alongside principal partner Rio Tinto with support from the State Government of Western Australia, Pilbara Ports Authority, Performing Arts Connections Australia, Kennards Hire, Cleanaway, Nielsen Liquid Waste, Karratha Signs and Pilbara Media.